Hubbell-Wiring ScrubShield® SystemOne 1-Piece fire-rated poke-thru device in brushed aluminum color, has four 20-Amp receptacles configuration. 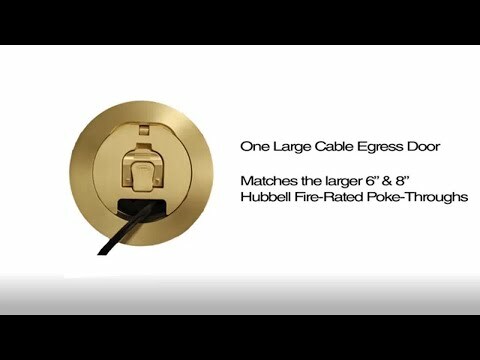 It comes with one Hubbell SystemOne 8-Inch floor fitting, 18-Inch wire lead, one fitting connection box with 1-Inch/1-1/2-Inch EMT stubs, one 8-Inch flange and universal cover assembly. 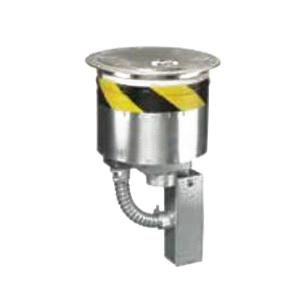 Recessed device is cULus listed.